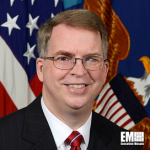 David Norquist, Defense Department comptroller, has said the first departmentwide financial statement audit is expected to cost approximately $367 million this year, DoD News reported Wednesday. “We also anticipate spending about $551 million in 2018 fixing problems identified by the auditors,” he said Wednesday during his testimony before the House Armed Services Committee. The full financial audit that Norquist announced in December will involve approximately 1,200 financial auditors to examine DoD’s personnel records, military equipment and real property as well as evaluate the vulnerability of security platforms. He told lawmakers that the audit seeks to achieve business process reform, improve data quality and promote transparency and accountability to U.S. taxpayers. Norquist added that Defense Secretary James Mattis and Patrick Shanahan, deputy defense secretary, support the initiative.